Tired of staring at the same four walls at dinner-time and in need of a night off cooking? A cheat meal treat is allowed once in a while and Dublin has some great restaurants and take-aways that serve food designed to make you savour every bite. So if you fancy letting your hair down and treating yourself to a top standard dinner, here are 10 fantastic cheat meals you can’t miss out on in the capital. If fresh Asian cuisine including Thai, Chinese and Japanese is a healthy option you would appreciate, Mao with its numerous Dublin restaurants might just do the trick. Chatham Row’s premises is a popular haunt for Dubliners and their Chilli Chicken Ramen dish is also crazy popular, featuring in the ‘most loved’ section of their menu. 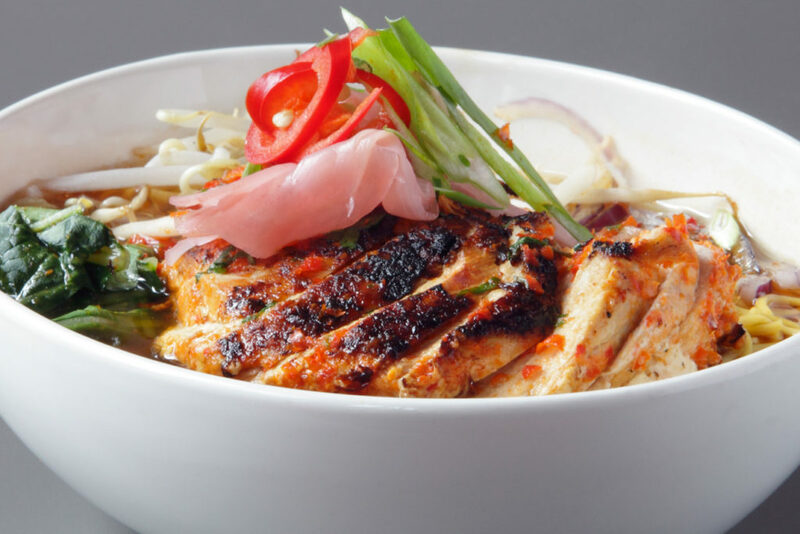 It consists of sliced, marinated and grilled chicken breast on egg noodles with pak choi and a chilli herb broth and is also ‘said’ to contain only 400 calories, doesn’t even sound like cheating to us! At €13.45, you are paying for quality whilst guaranteeing a healthy, mouth-watering cheat meal without having to lift a finger. To see their full menu in full check out the website here. 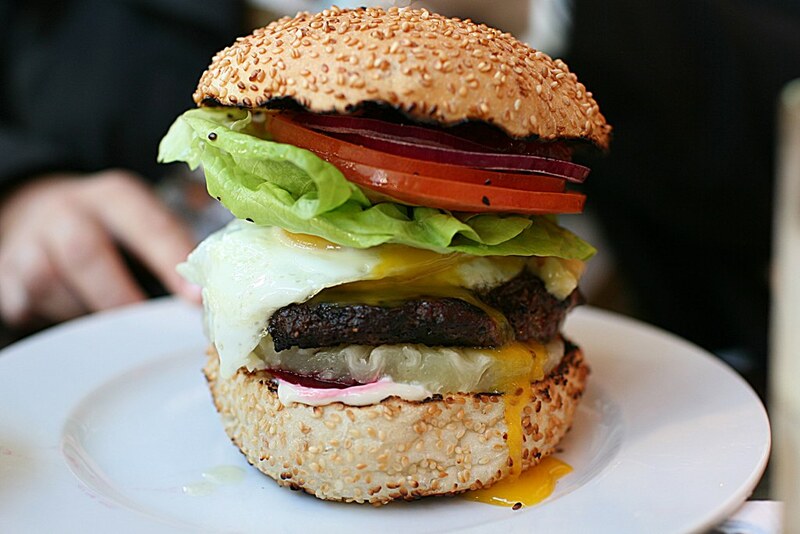 Is a big juicy burger the thing that would satisfy your cravings instead? Gourmet Burger Kitchen with restaurants across Dublin including at Temple Bar Square is the perfect choice. Set up by two New Zealanders, it’s only right that their unique Kiwiburger is not to be missed. Stacked high with thick Irish beef along with beetroot, egg, pineapple, salad, aged Irish cheddar and the house relish and mayo to compliment it and at €10.85, you won’t likely experience any hunger pangs after this! For further details visit GBK. 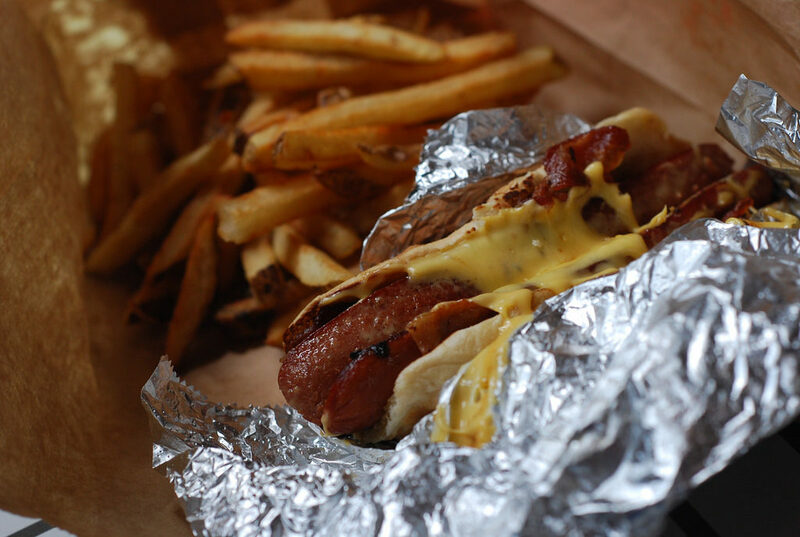 Sticking with heftily unhealthy doses of meat, we turn to the almighty bacon cheese dog. If you don’t fancy breaking the bank but want something a little more adventurous than Maccers, Five Guys is what you need. 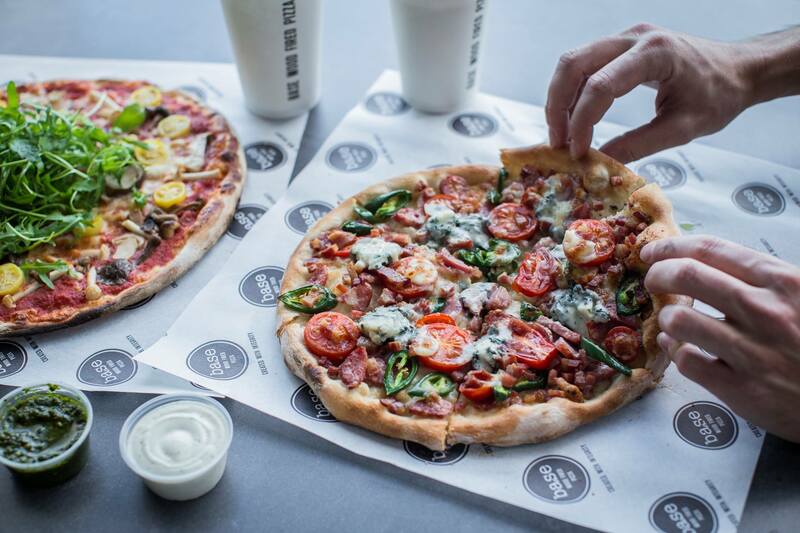 The American restaurant opened up their first Irish branch in Dundrum recently with a feel not too dissimilar to Eddie Rockets. The bacon cheese dog is a definite must have and consists of a juicy hotdog smothered with cheese and bacon toppings for €6.50. Combine that with a smooth €4.95 milkshake and you’re in business. You can make your milkshake as fancy as you want as all mix-ins including bacon and salted caramel are free, so go nuts! Visit the website here for more information on the other delicious options at Five Guys. La Dolce Vita, located in Kilmainham and Sandyford takes Italian to another level with their range of succulent dishes. 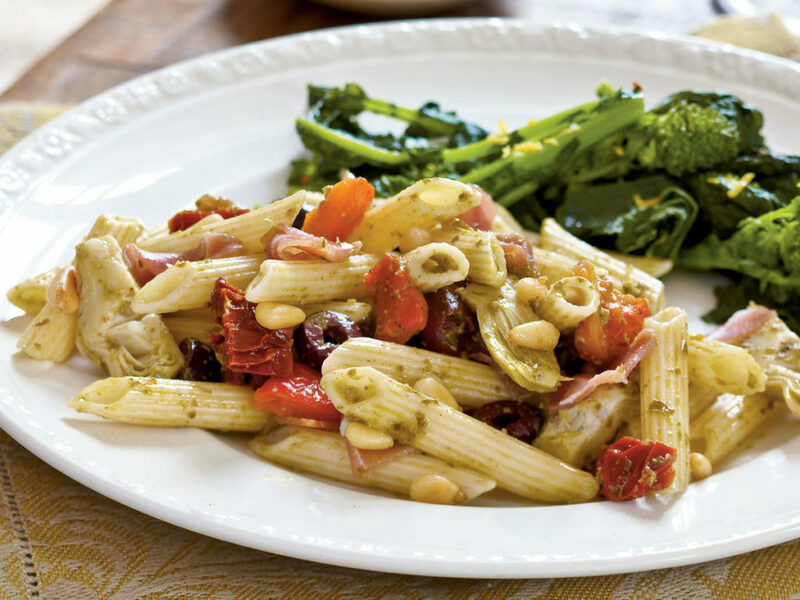 One of their top traditional pasta dishes is Penne Rustica, fresh penne pasta served with chicken and sprout beans in a creamy Cajun curry sauce. The cost is €13.50 which isn’t bad for a wholesome healthy dish in a top class Italian restaurant. La Dolce Vita also provides a take-away option for those a little less willing to venture out the front door for a good cheat meal. Take a look at their website to see their latest special offers or make a booking. Nothing screams treat night like a fresh wood smoke pizza in the heart of their main Dublin 2 restaurant. The Quattro Stagioni pizza is a popular choice on most menus but unlike most takeaway pizza businesses, Base Wood Fire sets the bar a little higher and prices reflect this. For €16.00 (a mid-range price option on the menu), you can get a crowd pleasing Quattro Stagioni topped with cotto ham, mushrooms, artichokes, Kalamata olives, mozzarella, tomato sauce and garnished with fresh basil. Pricey but likely worth going all out for the experience. You can get all the details you need at BASEwfp. 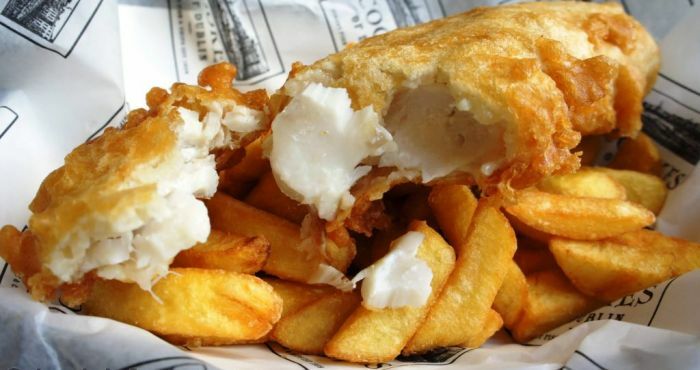 So you’re probably thinking, what’s so special about fish and chips? True that most chippers sell them but Beshoff’s is where you need to go for an experience that gives a little bit more than expected. Their oldest establishment is their O’Connell’s Street restaurant which was established in 1913 and provides a sit in environment for traditional fish and chip lovers. Though fish and chips aren’t the only options on the menu, the best cheat meal has to be their fresh cod and chips for €6.50 with their own spin on gluten free batter so those who are allergic don’t have to miss out. For further details check them out here. Winner of ‘Best Takeaway in Dublin 2015’ at the National Takeaway Awards sponsored by JustEat, Mango Tree is top notch in providing one of the best Thai takeaway services, beating out stiff competition. 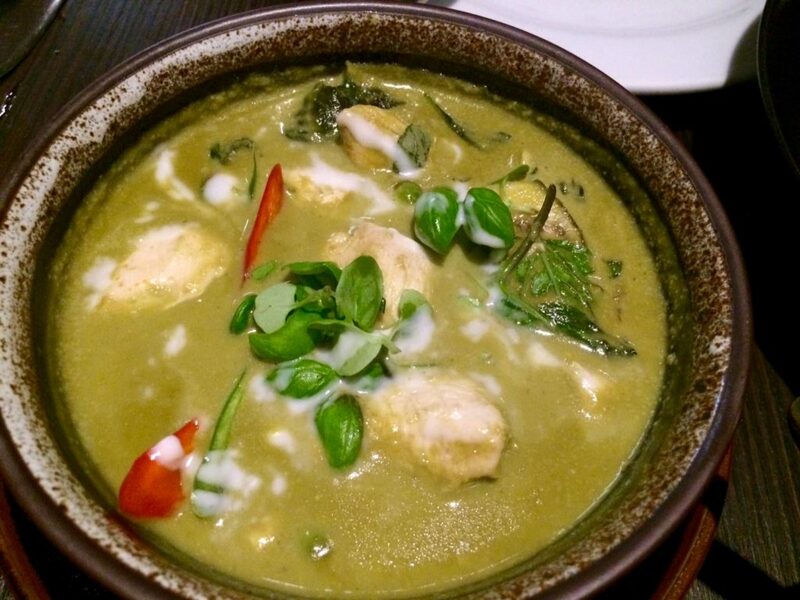 With four premises in Dublin, the Thai green curry sold at Mango Tree is a hugely popular item on their menu. It provides a healthy yet filling treat and unlike some of the other options on our list, this one won’t leave you feeling half as guilty after chowing down. What’s also great about Mango is their meal deal options. For example, you can purchase any starter, any main (including the recommended green curry) and any 500ml drink, all for €15.50 and with a promotional discount if ordered online. A good bargain is always welcome! Visit the Mango Tree to hear more about their offers. Before the title freaks the crap out of you, it’s not what it seems. Aussie BBQ is a funky Australian restaurant in South Richmond Street that likes to incorporate a little character into their menu. The honey badger meat box contains no badgers thankfully! 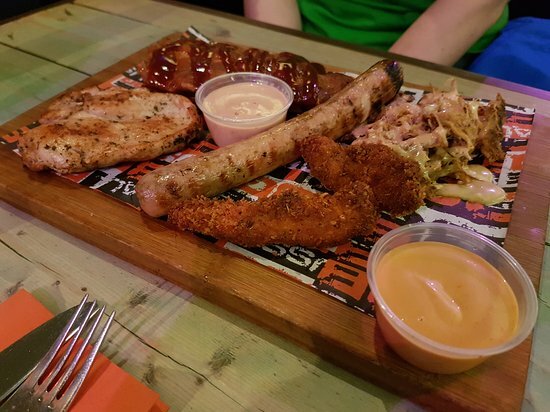 For €18.50, we would recommend splashing out as the box comes with one portion of BBQ ribs, a footlong sausage, pulled pork, chicken fillet, Tasmanian tenders, corn on the cob and two dips of your choice, a huge amount for one sitting. Be brave but be forewarned, you might have trouble fitting through the door at the end of the evening! 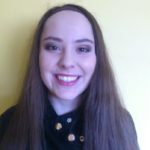 To find out more about Aussie BBQ head over here. 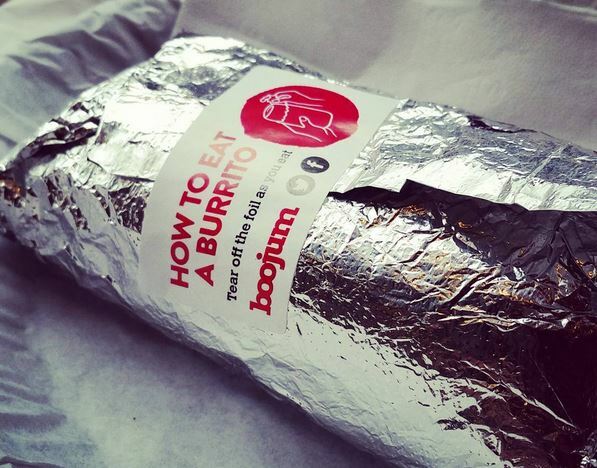 Boojum is another award winning Dublin restaurant, having received accolades such as ‘Dublin’s Finest Lunch’ at the 2015 JustEat Take-Away awards. We’ve been to Boojum on Abbey Street and believe us, those lads know how to serve some serious chow! If your after a nice spicy Mexican dish and a service that is far from ‘despacito’, then you should definitely try one of their infamous burritos. The cost ranges from roughly €6.60-€7.15 depending on your personal choice of filling but other than that you also get a filling of rice and beans of your choice and salsa, cheese and sour cream are all inclusive too. Whether you keep it safe or go super spicy, play it at your own risk. Check out the Boojum website for more information. Now it wouldn’t be a proper cheat meal guide if we didn’t include at least one dessert and modern Italian restaurant San Lorenzo’s in South Great George’s Street has us covered from every angle possible. 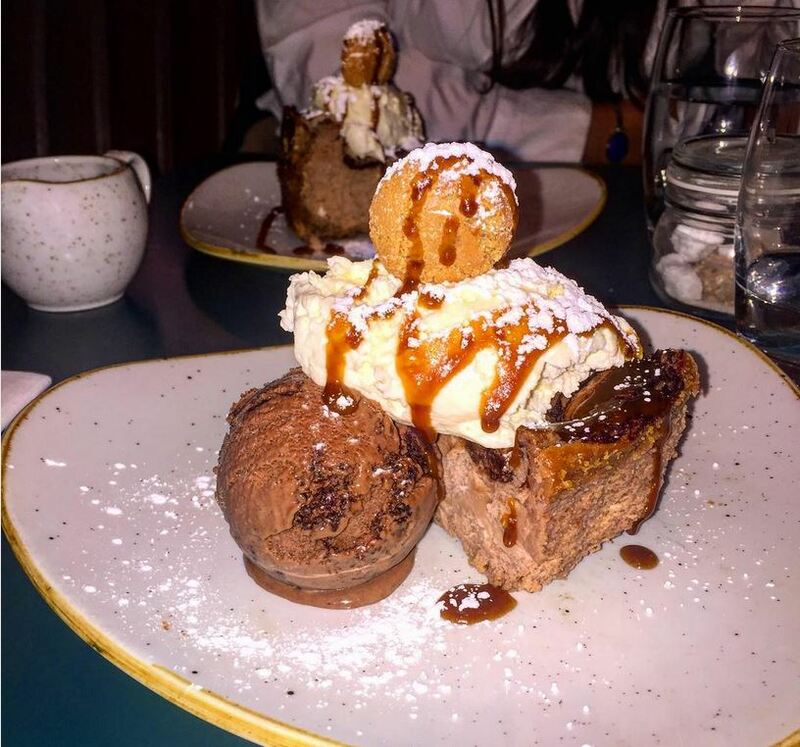 An invention of their own seemingly, this New York Nutella cheesecake costs €9.95 and is accompanied by chocolate brownie ice-cream and salted caramel sauce. Need I say more other than this sounds ridiculously delicious! Check out more of the tasty treats at San Lorenzo’s here. A great cheat meal selection with variations to suit everyone can be found in Dublin. The only question that remains is, are you hungry yet?